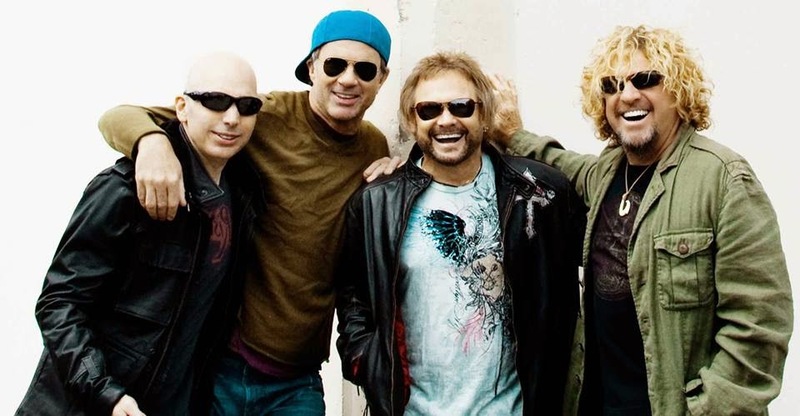 Sammy Hagar is telling fans not to expect any more albums by his supergroup Chickenfoot. The project – which includes guitarist Joe Satriani, bassist Michael Anthony and Red Hot Chili Peppers drummer Chad Smith – released their self-titled debut in 2009 and their second album, “Chickenfoot III”, in 2011. Hagar now tells Rolling Stone, “Joe is my favorite writer to work with since Eddie [Van Halen]. I'd rather write a record with him than anyone else, but I don't see any reason to make a new record. Going through the whole experience with a record label, and then going out and doing 150 interviews, a big tour and waking up at 4:00 a.m. to go on Howard Stern all to sell 35,000 CDs…It starts to feel like, ‘Hmmmm. Is this pay for play?’"
Hagar’s remarks contradict those made this summer by Satriani, who said a third album by the band will happen. "It is in the pipeline," revealed the guitarist. "Everyone's got demos, everyone's excited. I don't know about the schedule though. That is still — as usual — in the chaotic Chickenfoot state." The band’s 2009 debut achieved gold status for US sales of 500,000, while the sophomore effort failed to hit that mark; it did, however, earn a 2012 Grammy Award nomination in the “Best Recording Package” category. Chickenfoot reunited to perform the encore at Hagar’s belated birthday bash concert in Las Vegas on October 18 – check out video from the event here. The project sees Sammy teamed with Waboritas guitarist Vic Johnson to deliver stripped-down versions of tunes from Hagar’s lengthy career.